It seems likely that if the animals are not walked by volunteers then they don’t get much exercise or interaction at all. The dogs can spend up to three months in the cages at Son Reus, and if they are not adopted or claimed then they are put down to make room for more. 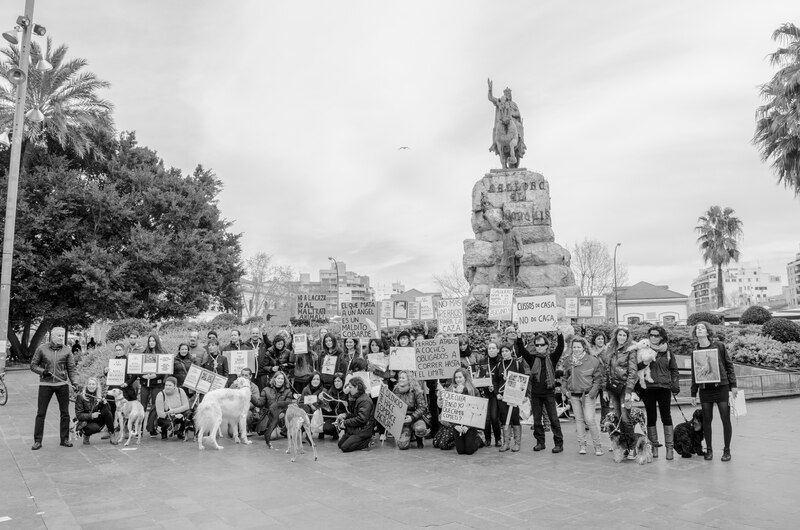 If you want to get even more involved then you can contact a new group called Asociacion Peluditos de Son Reus either via email: Peluditosdesonreus@gmail.com or by phone on 619 366 518. This new association is trying to work with Son Reus to improve the standards of care for the animals by offering the assistance of volunteers and also to try to facilitate the adoption system which can be prohibitively expensive by offering assistance with the costs of medication. Ieuan Jury (pictured) has been getting involved with the Association: “Me? 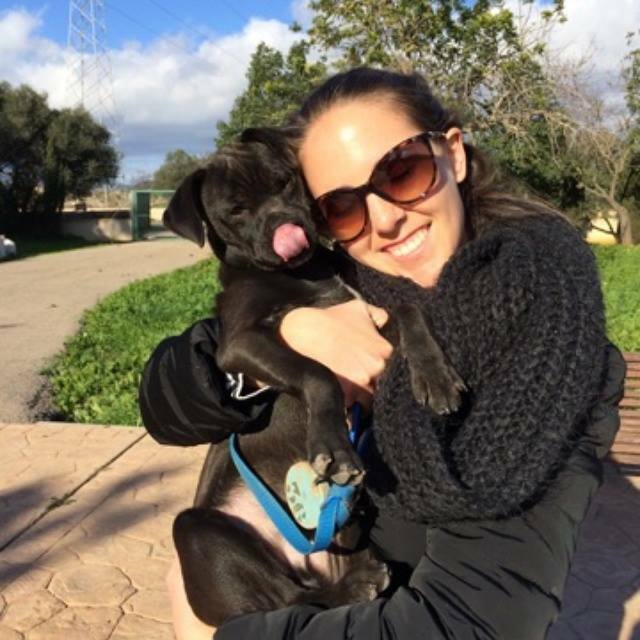 I’m just an animal lover who was sucked in by the system at the pound and wanted to help out and spend some time with the dogs. 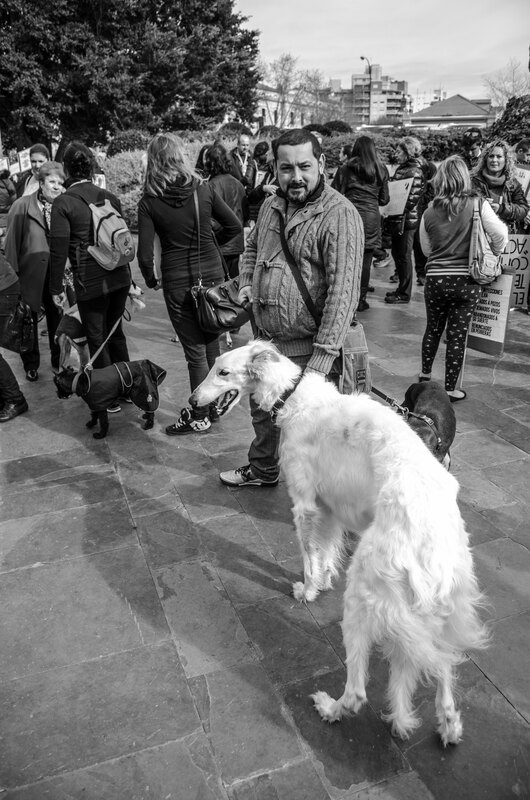 So I started offering on the Facebook Group: Palma Yacht Crew to take people with me to help walk some of the dogs. Somehow it has snowballed and the association found me and now I’m trying to help them to help get dogs off of “Death Row”. 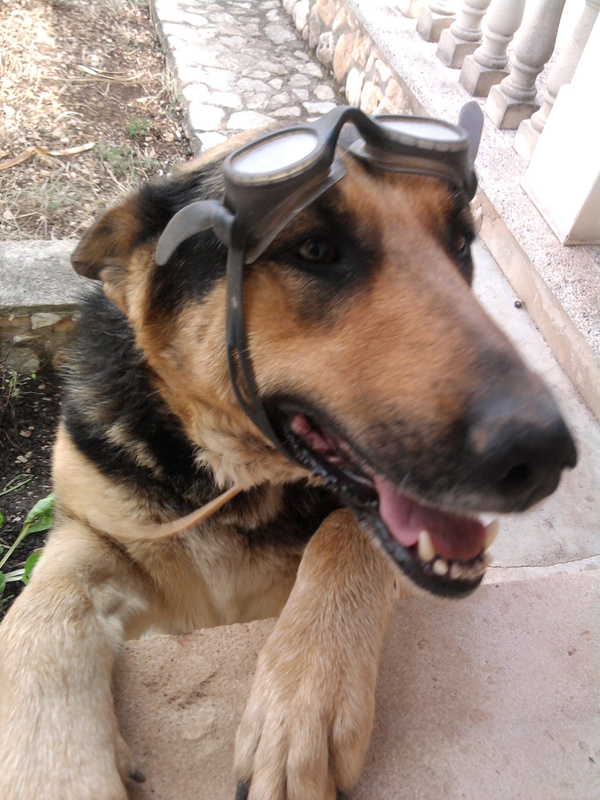 We saved our first dog last week, Tanke.” It looks like this new association is really trying to build a good relationship with the Director at Son Reus and Pet Project wishes them all the luck in the world! If you want to get involved then do what Ieuan and Ashleigh did and just volunteer. Thanks to Ashleigh and Ieuan for the great pictures, it certainly seemed to be a really positive and fun morning. 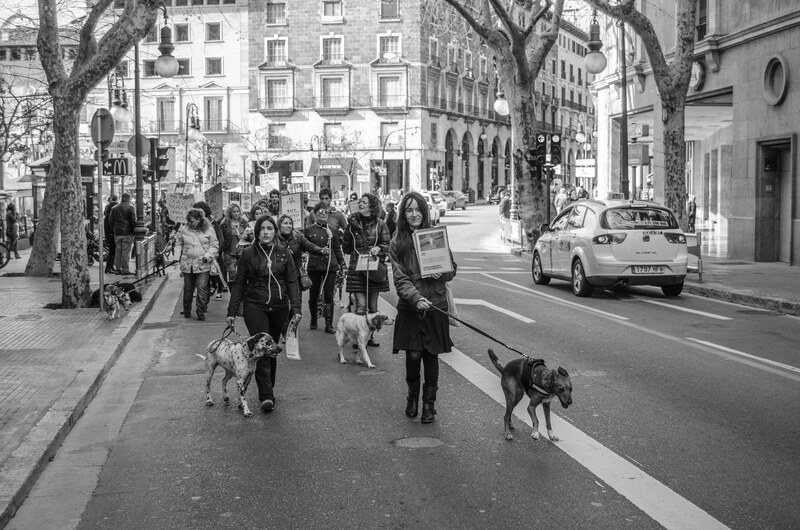 Or if you prefer to go it on your own, you can go directly to Son Reus and walk the dogs there. Just pick a dog you want to take out, go to a worker (they wear blue jackets) and ask them to bring you the dog. And then you can walk them the dog on a big grass area. You can find Son Reus at Carretera Soller km 8. Ed the Dog strikes it lucky! 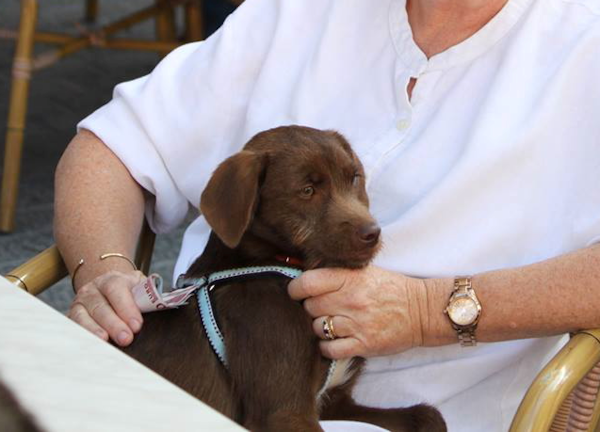 When Calvia resident Barbara Hodge saw a dog on Facebook she just knew that he was meant to be hers. “I saw him on this lady’s Facebook page, and I just fell in love with him. I found out that he had been left at Son Reus and that he was due to be put down if no one collected him.” The system at Son Reus is that any animal which is taken there has to be kept for a certain amount of days in case its original owner has lost him or her, and then after that period is up the dog can be adopted. Babs is keen for Pet Project readers to know that the staff at Son Reus are “lovely and really want to help” and if any readers wish to adopt a dog to follow these hints: 1) take a Spanish speaking person with you if you don’t speak it particularly well yourself, 2)Son Reus is hard to find on the roads and so be prepared for a bit of a hunt, 3)even if there are other people’s names down on a list for an animal to still put your name down if you really want them, as you never know! Next edition we’re featuring BALDEA. 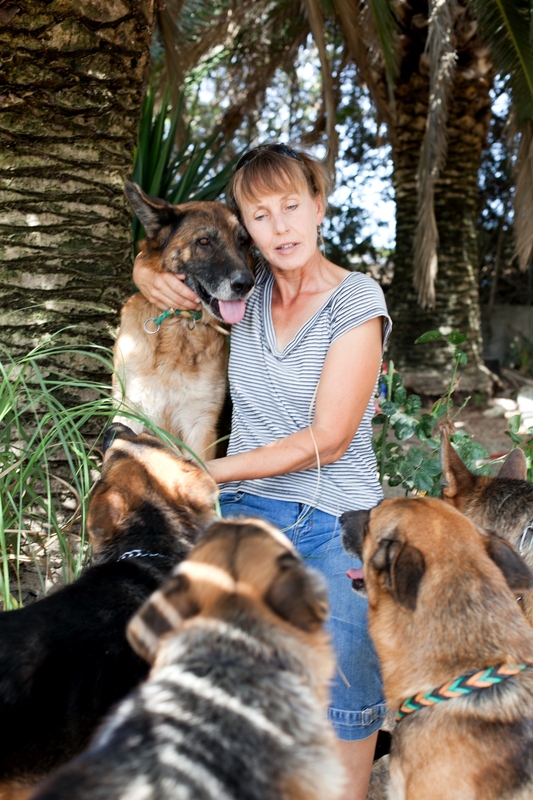 This week’s Pet Project features a very moving piece written by Billie Minshall from Dogs For U. 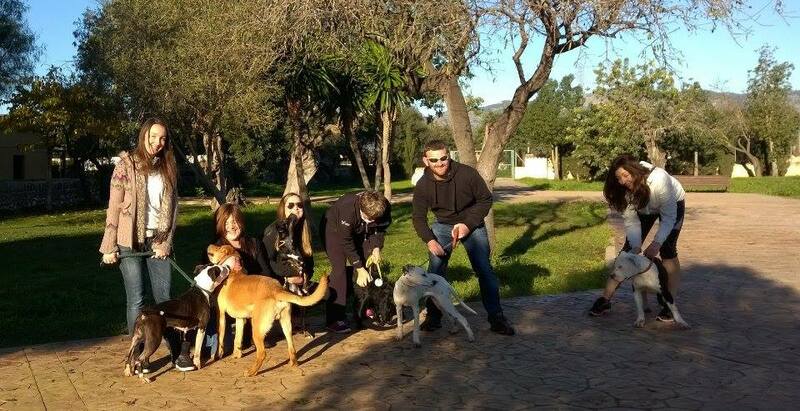 If you want to contribute to Pet Project then please get in touch via our website http://www.petprojectmallorca.com where you will also find all the details of animal rescue groups on the island. Imagine you are a dog. Nothing special. No breed papers, no certificates. A German Shepherd/Husky cross-breed perhaps. Imagine being with your human family from puppy-hood till old age. Nine years of loyalty, given willingly, simply because this family is YOUR family and you would lay down your life to protect them. Your legs are getting a bit stiff now, and you’re not quite as quick on your feet as you used to be, but you do the best you can for your people. You keep them safe and you love them; you accept the occasional beating and the days of being rejected and ignored, because sometimes, more infrequently of late, someone gives you a pat and a kind word and that makes it all worthwhile. Then one day your owner loads you up into his truck and you go for a drive. You are so pleased that he is giving you some attention. You drive for a long time and then stop in a country lane. You smell pine forests and strangeness. Your owner helps you down on to the road, smacks your rump and climbs back into the truck. You watch him drive off in bewilderment, unsure what is expected of you. You run after him, as fast as you can, but you can’t keep up. The truck disappears from view. Panting with the exertion, you sit in the road and wait for him to come back. You wait for hours, until it grows dark. You are cold, thirsty, hungry and, above all, terrified. You nestle down in some leaves at the side of the road and try to sleep. When the bleak winter dawn breaks, you stagger to your feet and wander up and down the road, criss-crossing it again and again, trying to pick up a familiar scent. The fear grows, along with the emptiness in your belly. Finally, with heavy heart and limbs, you start to walk downhill, sniffing the air. After hours of walking, you arrive in an unfamiliar village. People stare balefully at you and, if you approach, they throw stones or wave sticks and shout. You plod on, exhausted, until the cold dark night arrives, forcing you to find shelter once more. You’re growing weak from hunger and cold. You feel like giving up. In the grey morning, you are woken from your stupor by the feel of something tightening around your neck. You rear back in terror but you can’t fight it. It’s a catching noose. You are dragged to a van and thrown inside and the van drives off with you. You whine and scratch at the cage you are in but you can’t get out. Eventually you are pulled from the van into a building that smells of death. You can hear many dogs barking and crying in fear and frustration. You are thrown into a cage alongside rows and rows of other cages, filled with other dogs. For many days you endure cold hard concrete floors, inadequate food and no human contact, just the constant sound of frightened dogs. Are you in hell? Did you unwittingly do something so wrong as to deserve this punishment? No. Quite simply, you got old. Your owner did not want you anymore and replaced you with a puppy. He did not want to pay a surrender fee to a pound or pay a vet to euthanize you. He abandoned you to your fate in the mountains, not caring if you starved or died from injury or illness. Your usefulness was at an end and he wanted rid of you. This was the fate of Aurelio, a quiet, dignified old dog, rescued by Dogs For U from death row in a municipal dog pound a year ago. 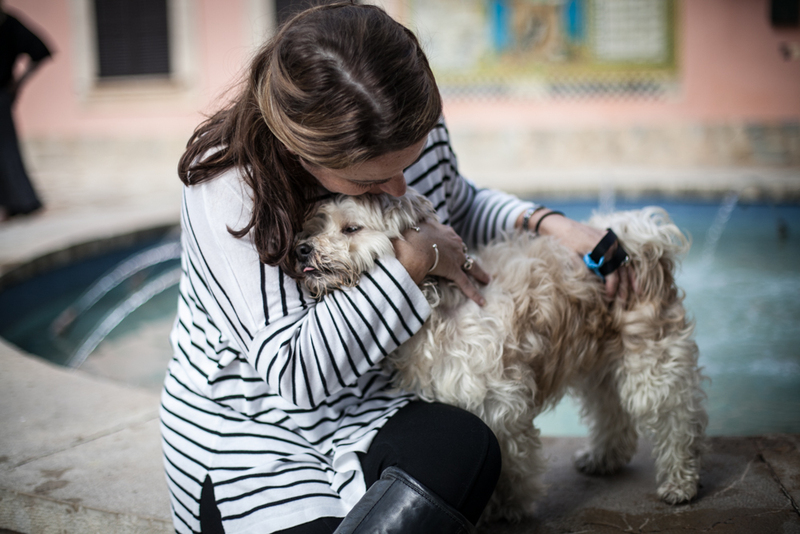 He came to us bewildered, depressed and unresponsive. Slowly, he has learnt to enjoy being with the volunteers who spend time with him. He has made some friends amongst the other canine inhabitants. But if you look in his eyes, you can still see his pain. He is about 10 years old now and he is sad and depressed to be in kennels. He needs to spend his final years with a loving family – lying at the feet of his special person, giving and receiving love. A few more winters by the fire, a few more summers in the shade: secure, content, and happy. Please be that person. Please take him home and adore him. He needs you. 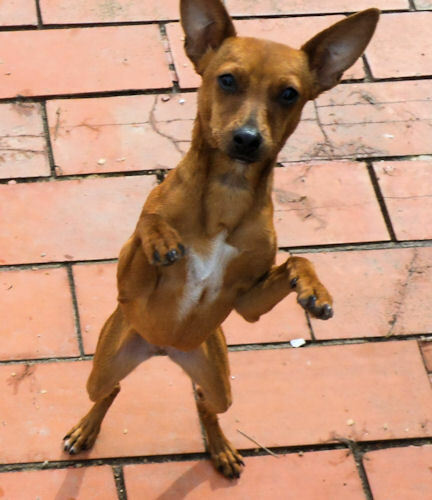 Please help Aurelio to wag his tail in happiness once more. Contact Billie on 656 448 102 or billiedogsforu@gmail.com for more information. 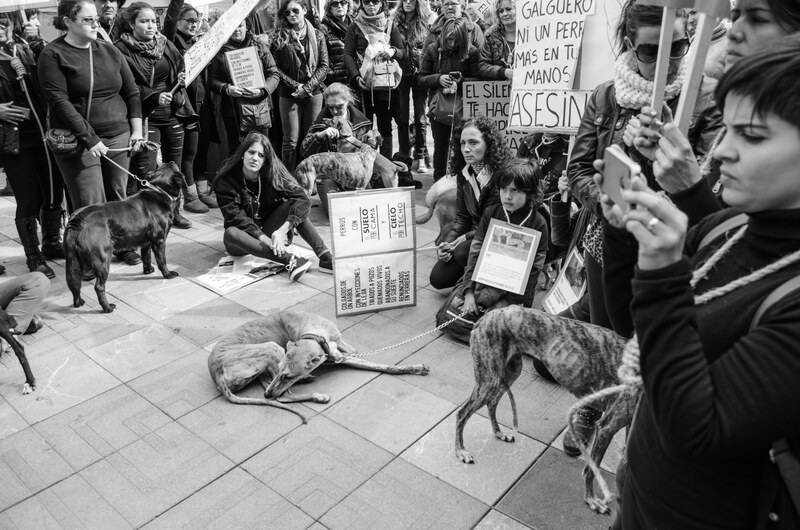 About 150 people and dogs took to the streets of Palma last weekend to protest about the terrible treatment of “Galgos” in Spain. 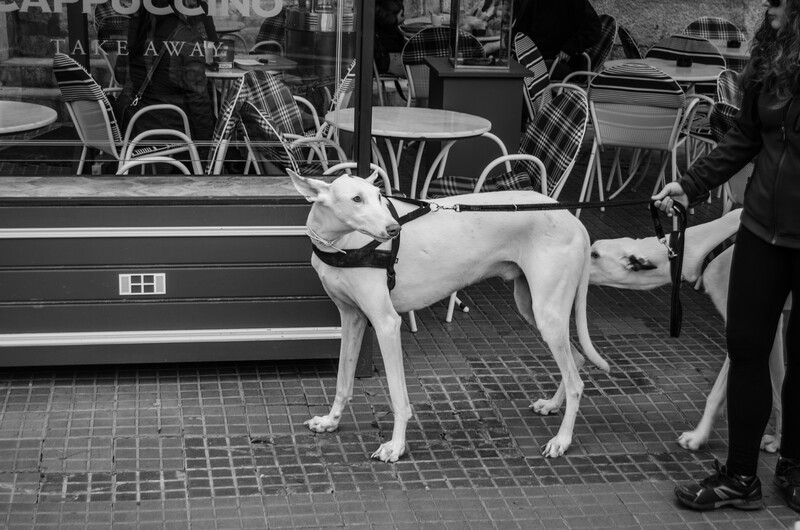 The Galgo Español (Spanish galgo) or Spanish greyhound is an ancient breed of dog, specifically a member of the sight hound family. 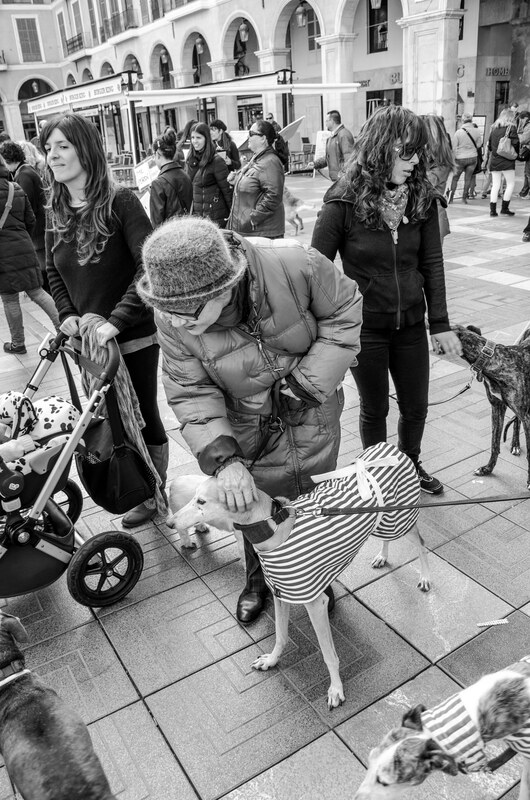 A staggering 50`000 dogs are put down every year at the end of the hunting season in Spain. The reasons given are that the dogs weren’t good enough hunting dogs, that they were too old (and by this they mean around three years old), or even that the hunter in question just can’t be bothered to look after the animals until the next season. The manner in which these dogs are put down cruel, lazy and in the views of many, totally unacceptable. 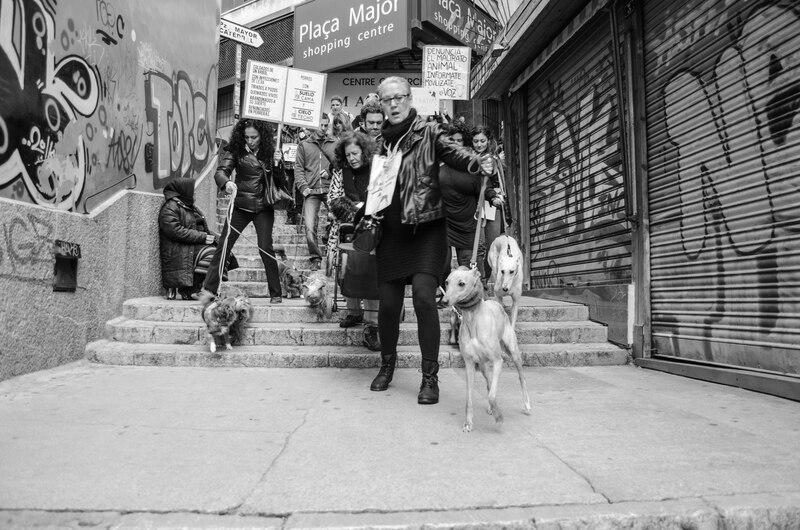 The dogs are left to starve to death, or they are beaten until they die, or shot, or run over by a vehicle or even hung by their necks, the hunters call that “playing the piano” because of the way that the animals move as they are dying. There are even crueller practices than this but out of respect to the kind readers of Pet Project I am not going to name them. The animals aren’t treated well when they are alive either, it’s a disgrace that the practices are not regulated or policed thoroughly and that it seems to be accepted as the norm by so many. 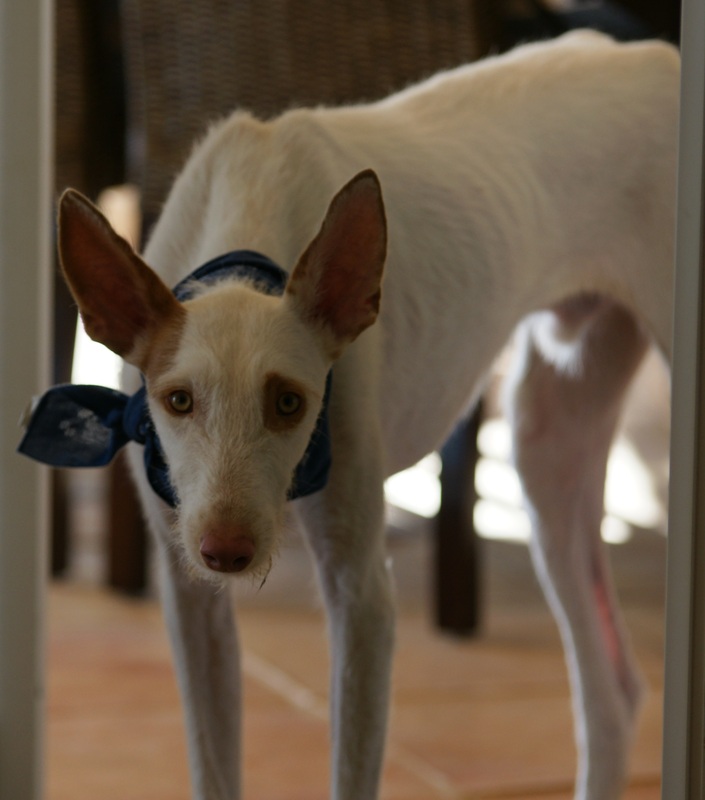 It’s calculated that about 60% of animals which are abandoned in Spain are Galgos. 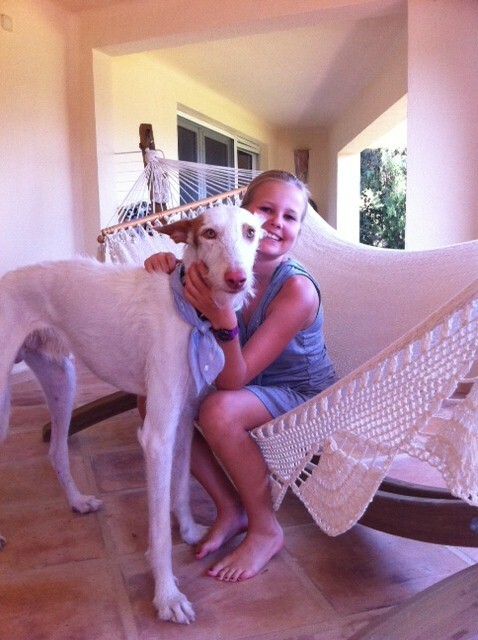 It’s very saddening because the Galgo is a lovely, kind, peaceful breed which is great in the house (they love to chill out and sleep), very good with children and other animals and an absolute delight to watch in action when they are out on their runs. 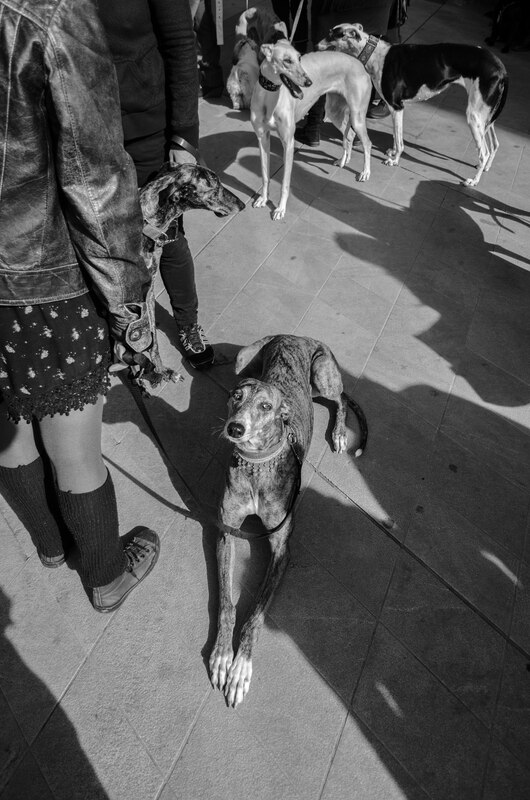 The Galgo is not only “the Spanish greyhound” but also “the Spanish dog”. 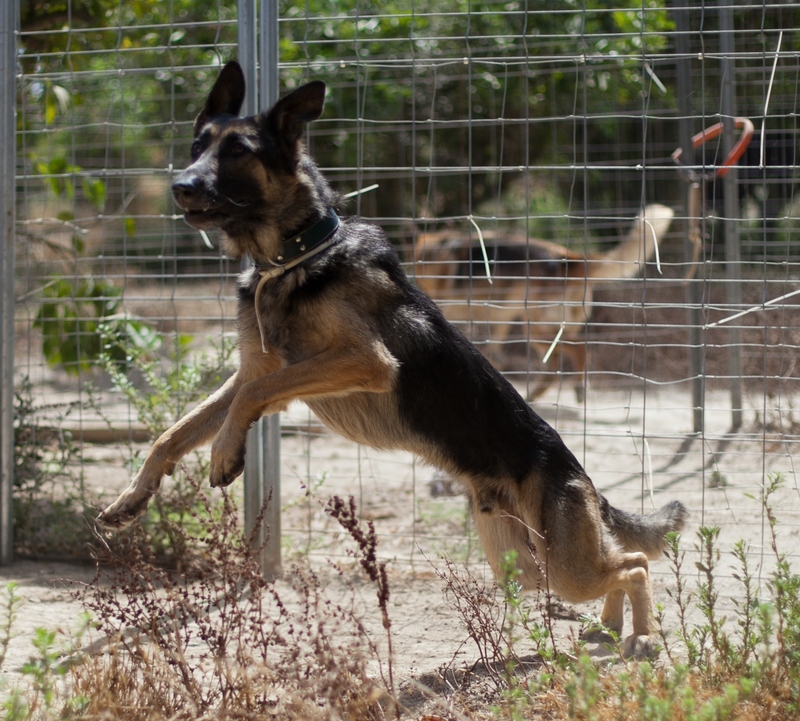 The breed has a long and noble history in Spain stretching back over hundreds of years. Its name is probably derived from the Latin “Canis Gallicus” or “Dog from Gaul”. 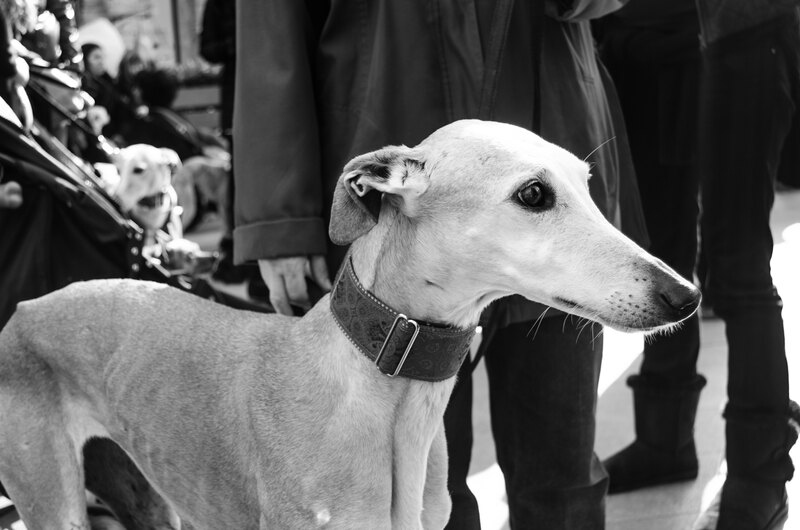 The Spanish word for all kinds of Greyhounds – including the Galgo – is “lebrel”, which means “harrier” or “dog for chasing hares”, since “liebre” is Spanish for hare. Thanks to Christian Smith for his photos of the event. You can see more of his work at christiansmithphotography.tumblr.com. If you want to meet or adopt a Galgo then ask at your local animal refuge. 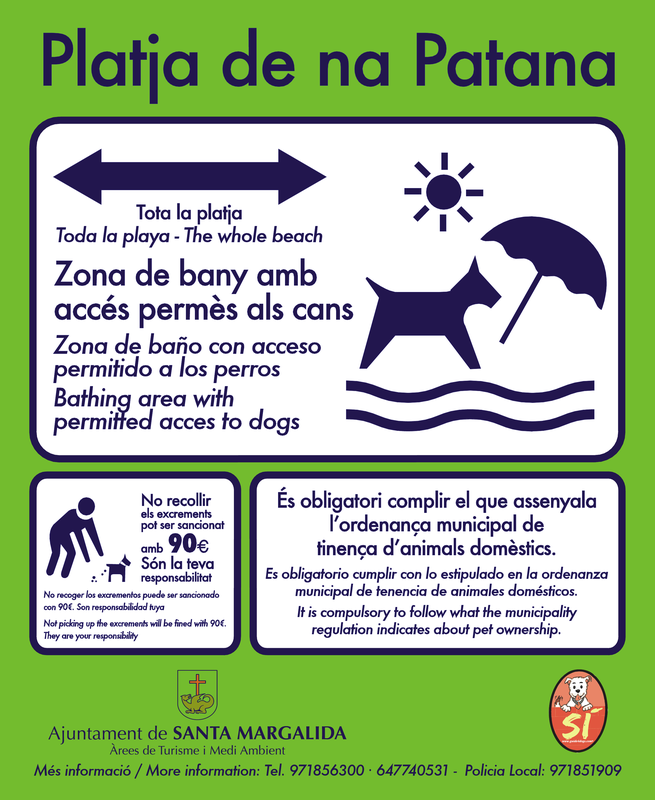 You can find a list of your local refuges online at http://www.petprojectmallorca.com where you can also see previous Pet Project articles. 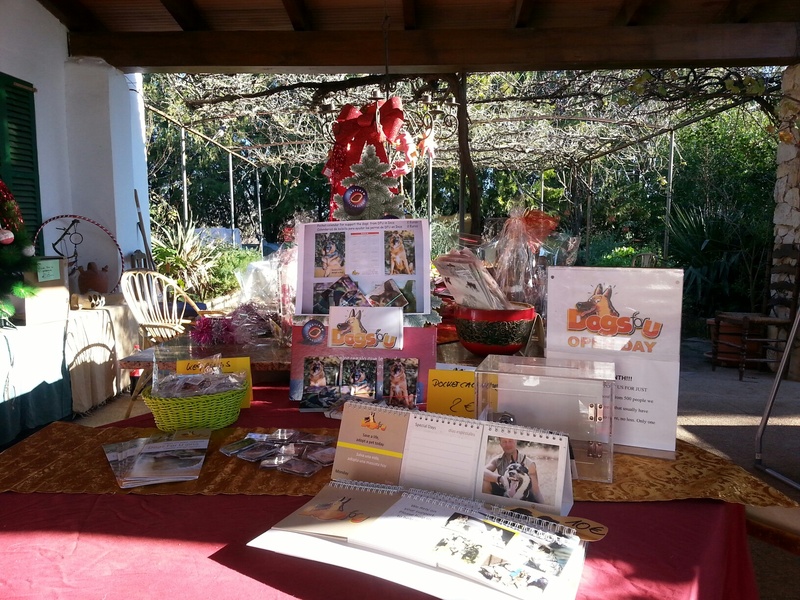 Every week Pet Project aims to help to help an animal rescue organisation in Majorca to raise awareness and funds, or to help rehome or foster out an animal. 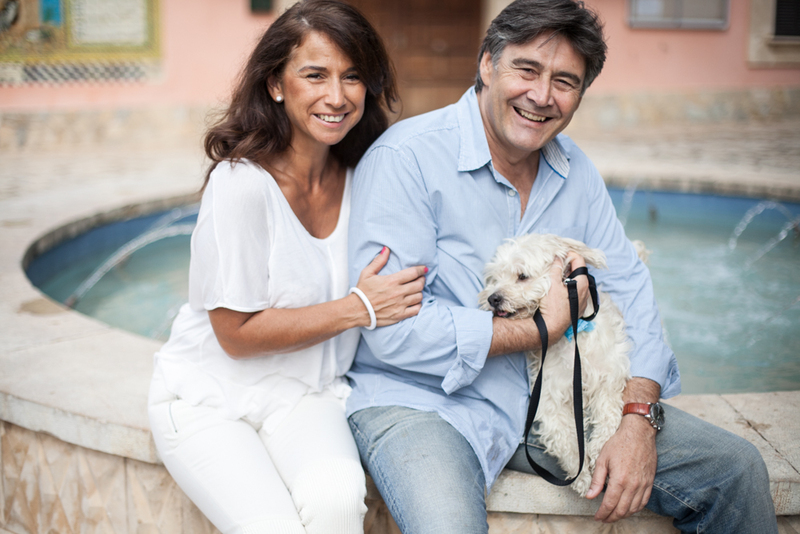 Pet Project is a collaboration between the Majorca Daily Bulletin, the PR firm Phoenix Media, the animal refuges, and some of the island’s best professional and amateur photographers. If you can help then get in touch phoenixmediamallorca@gmail.com. Fura, Lucky and Rusty are ready for new homes! Welcome to this week’s Pet Project. 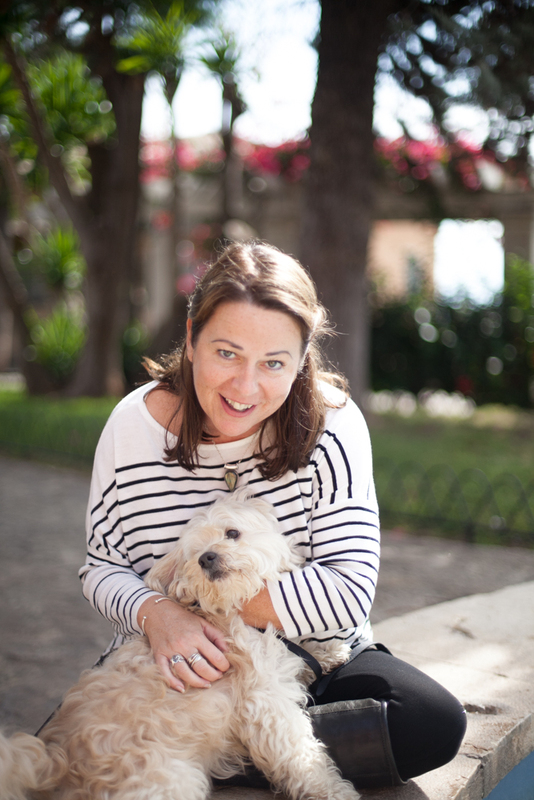 We are very happy to welcome animal lovers Cati Salva, June Haigh and Sheridan Connisbee as contributors to this week’s column. Fura was first spotted in Palma in November. The weather was terrible and raining heavily. She was seen running around with another dog, a Ratero, and in very bad shape. She was dirty, clearly malnourished and very afraid of people. The man that spotted her started giving her a bit of food outside his home. There was no way to get close to her: every time anyone moved around her, she ran for her life, fear in her eyes. Finally it was this man’s young child that managed to get near to her. There was no sign of the ratero. The family who rescued her are not able to foster her because of their existing animals, so they took her to a temporary home. She was seen by a vet: she was malnourished, full of worms, dirty, and very, very afraid. She had a very high temperature and a typical cold (not surprising with the terrible weather conditions). She was prescribed treatment and given a couple of injections to boost her up. The vet decided that she was around 4,5 months old. The first couple of days she was so exhausted that she didn’t even try to move from the sofa. We had to put pads under her because she would pee right there. She just could not move. She didn’t have the strength to sit straight or walk. But that was nothing compared to the fear. She was terrified of humans, especially men. She would not move at all when a person was close. She would tremble. If she was somewhat relaxed (she loves cuddles) and anyone stood up, she peed herself. She had no bladder control at all. We tried to walk her to help her get confident and socialize, but when a harness was put to her body and she saw the leash she just started crying and yapping. Of course we can never be sure, but we honestly believe that this little girl was mistreated. She already knew how to sit if she wanted a treat, so it makes sense that she was being “educated the old way”, that is, with severe punishment every time something went wrong. Too severe. It broke our hearts thinking that this little dog, so young and loving, already had gone through that much. Fura had to switch to another temporary home where there was another dog we thought that this might help her trusting humans. And boy, were we right. She has changed so much it is unbelievable. 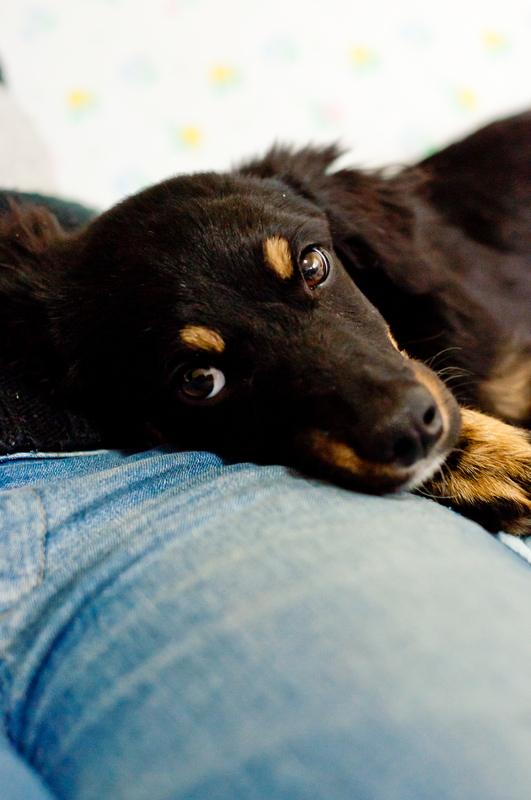 She has learnt how to play, she now obeys simple commands and loves cuddles and sofas. Emotionally speaking, she is nowhere close to the terrible, dark place where she was before. 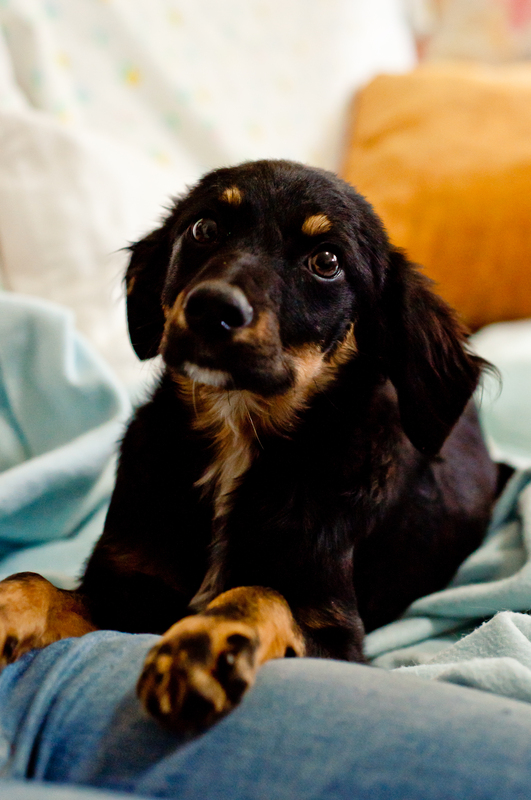 Fura is now 5.5 months old and looking for a forever home. 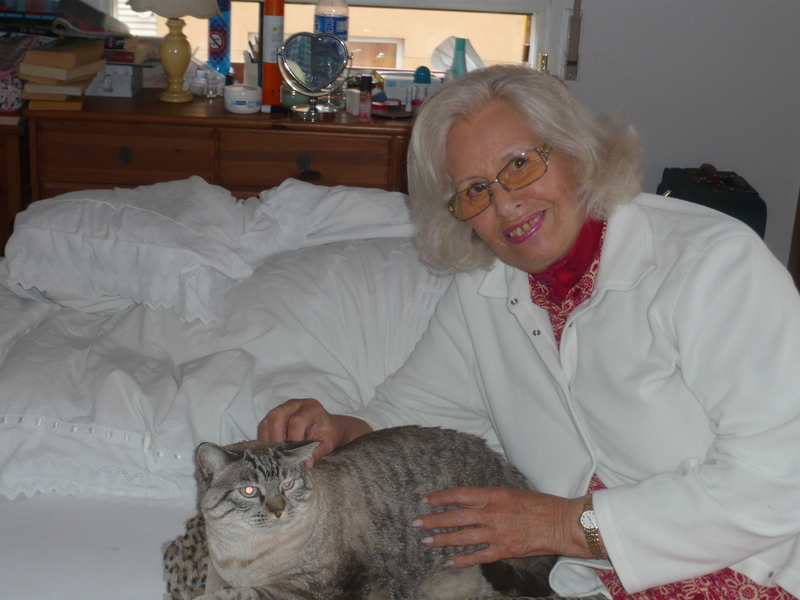 She is okay with cats and dogs, and now humans as well. 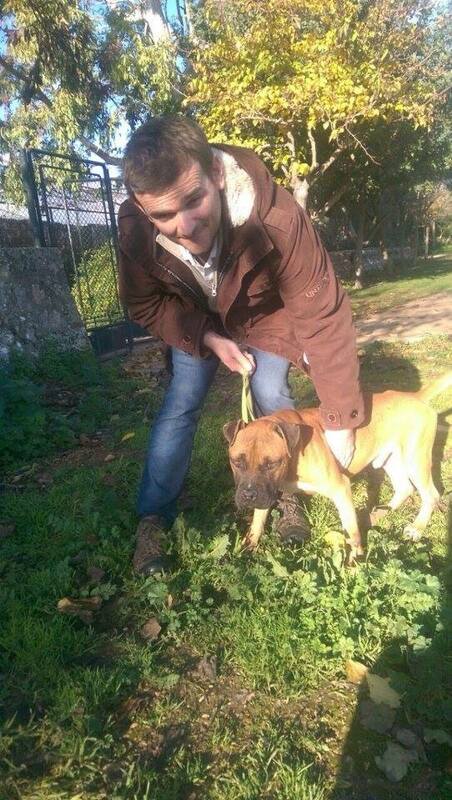 She will be given with an adoption contract, follow up visits, chipped, vaccinated and will be neutered this month. 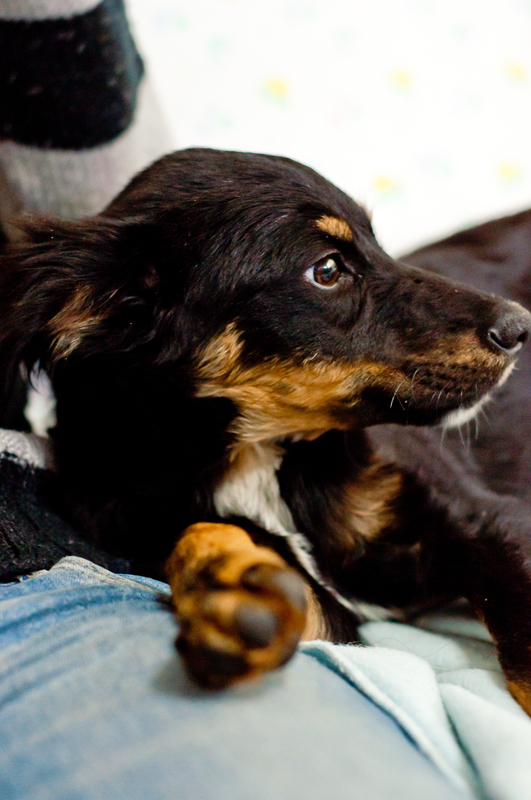 A contribution to the costs of her veterinary care will be asked for when she is adopted. If you wish to contribute to the costs of her care or enquire about adopting this sweet little girl then contact: cativico@gmail.com or Cati Mininas on Facebook. 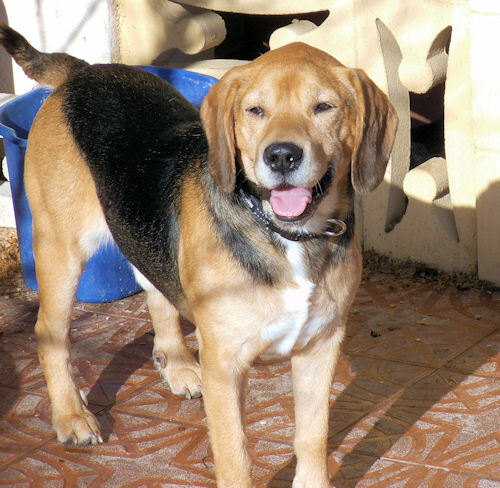 Rusty, along with his brother Star were abandoned and spent their first few months behind bars in Consell’s holding facility at the local rubbish dump, wagging their tails at anyone who came by and hoping that someone would release them from their sorry plight! They are now out of there and very happy to be enjoying the love and care of a foster home with a nice big garden and other doggie friends. 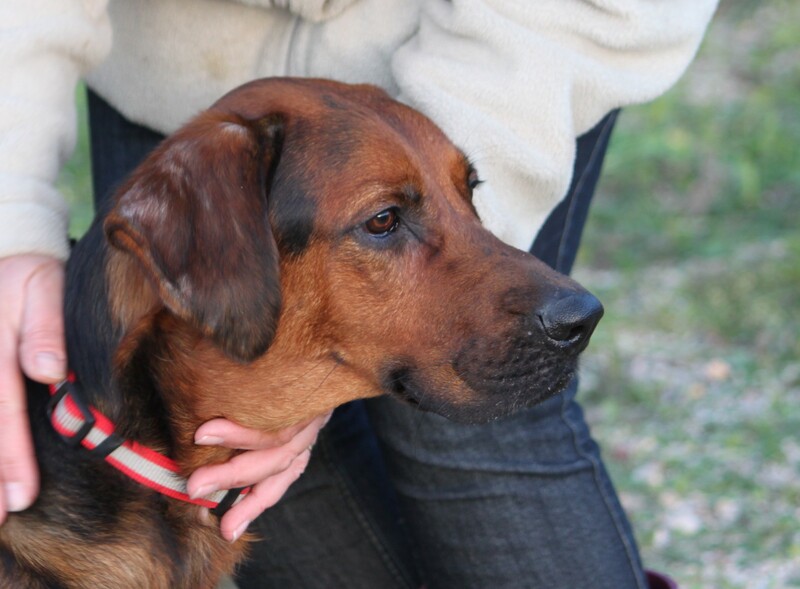 Harry, Prince of Hounds, needs a home. With a zest for life and attractive reddish-brown colouring, this dog is on a mission to sniff out a loving family he can call his own. 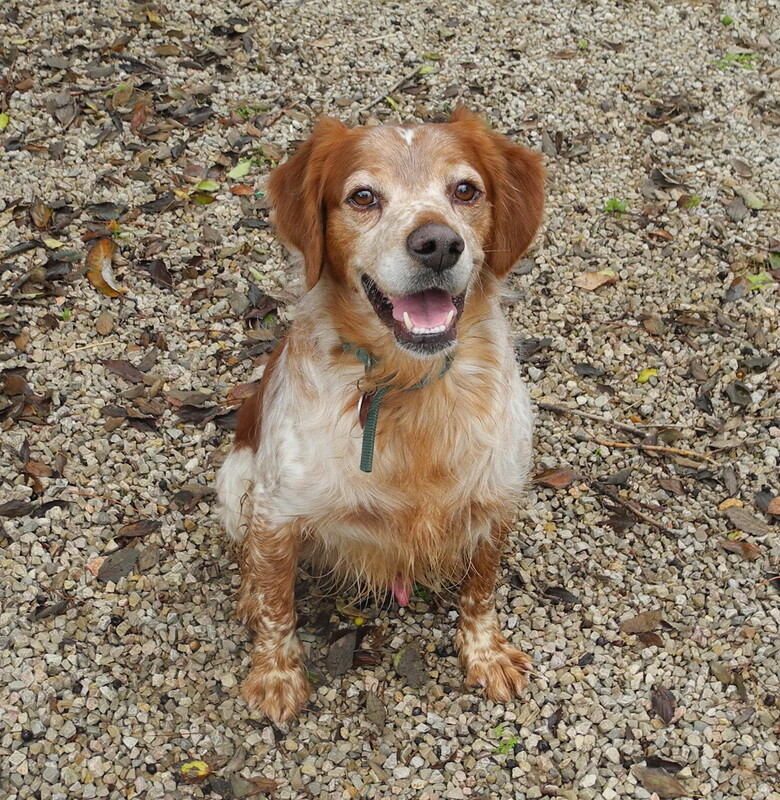 Harry is a Brittany Spaniel around 2-4 years of age. 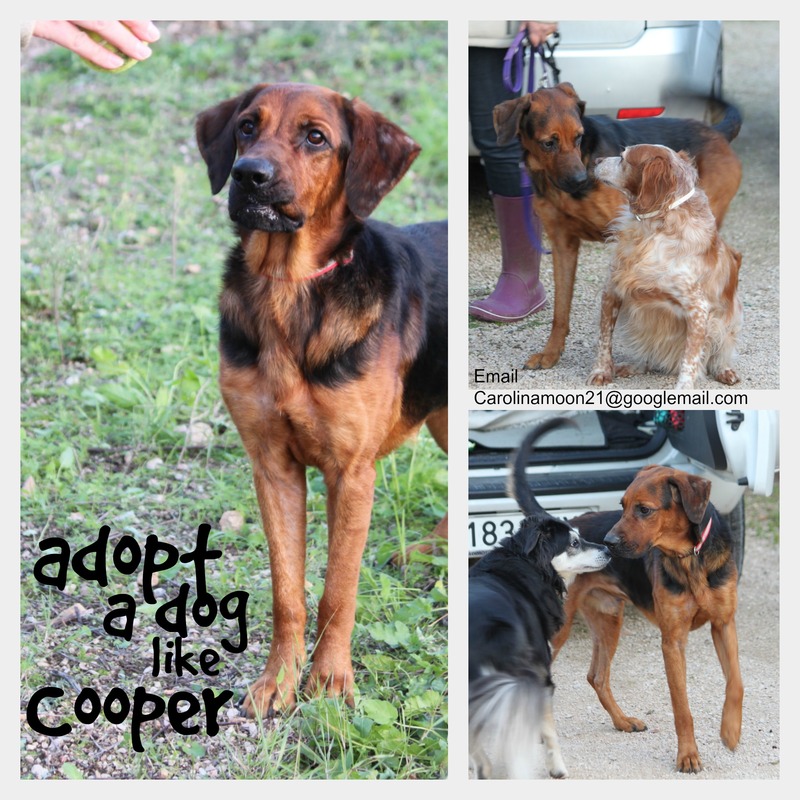 We´ll never know why he landed up in the stray dog facility in the village of Consell other than he was found wandering scared and all alone, but without a microchip it was inevitable he wouldn´t find his way “back home”. Quite likely he´s yet another abandoned hunting dog. Harry is typical of a Brittany; handsome, intelligent, sensitive, willing to please and responsive to a calm and friendly voice. 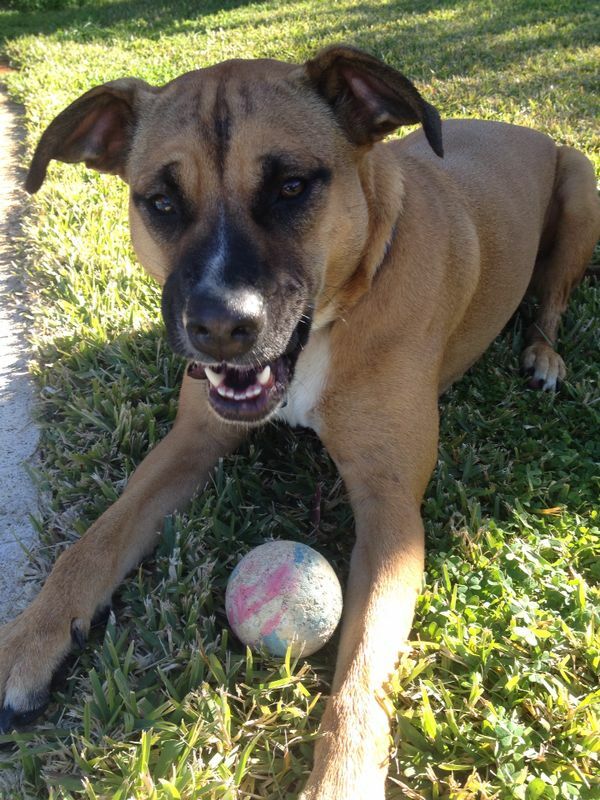 He´s also athletic and agile, he is great around strangers, peaceful with other dogs and doesn´t like to be left alone. He´s a prince of a companion dog, wrapped up in a medium-sized package, the size and style you can take everywhere! 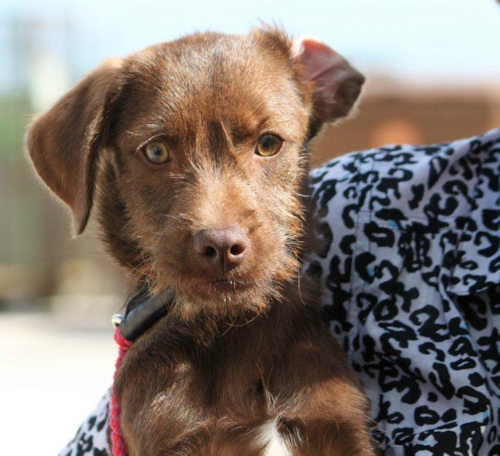 Harry will be neutered, micro chipped and vaccinated prior to adoption. If you can provide a loving home and are looking for an energetic family dog that thrives on exercise in the great outdoors but is happy to curl up for a cuddle, then Harry might be just the dog for you. Christmas is on its way. Yes, we know, it’s come round quickly. The refuges and animal rescue centres have a very important Christmas message for you this year: please don’t buy an animal as a present this Christmas. Every year during January and February unwanted puppies and kittens who were presented as presents at Christmas and Three Kings are taken to the refuges if they are lucky, or abandoned at the council “kill pounds” if they’re not. If you are serious about getting a new addition to the family then waiting for a few weeks won’t hurt you. Imagine how cold it is at some of the animal refuges and pounds around the island which have outdoor kennels and cages. If you can open your doors and foster an animal over the winter period then please get in touch with your local centre and ask them which animals need help. Alternatively if you can’t offer a warm place inside your home, then if you have some blankets or duvets you can donate then please do. The island’s refuges need your unwanted blankets! You can take them to the Salvation Army in Son Caliu, or take them directly to your local refuge.